Mitsubishi Electric has a vast range of partnerships with reliable heating installers across the country. Along with our UK-based technical support staff who are available via a Homeowner Support Helpdesk, our accredited heating installers provide a high quality service and can help you throughout the process of choosing Ecodan. Our Homeowner Support Team are available at any time. 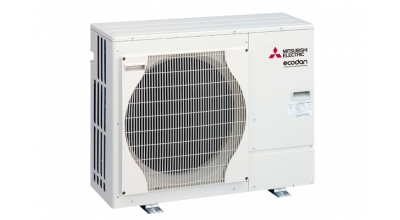 From the Isle of Skye to the Isle of Wight, thousands of UK households are already benefiting from reliable, renewable heating with Ecodan air source heat pumps from Mitsubishi Electric. Ecodan air source heat pumps can lower your running costs, lower your carbon emissions and make you eligible for Renewable Heat Incentive (RHI) payments. 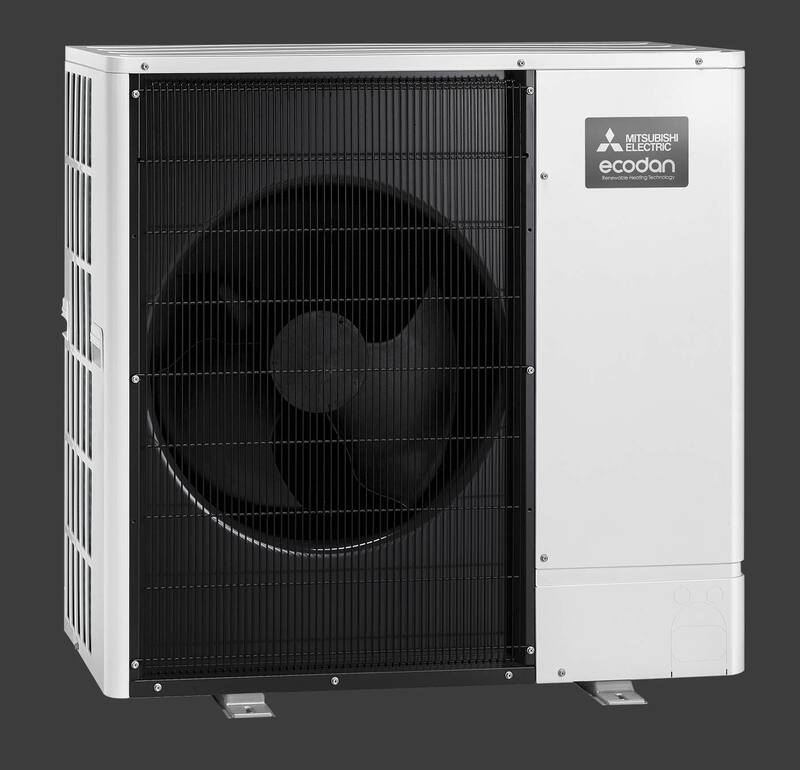 Ecodan air source heat pumps are classified as a renewable energy source because they capture free energy from the air. Ecodan works by sitting outside your home and extracting warmth from the outdoor air. Ecodan technology upgrades this renewable heat energy and transfers it inside the home to provide hot water and heating for radiators and / or underfloor heating. In-built smart controls put you in total control whether you are in your armchair, at work, or on the way to the airport. With the highest energy rating (A++) available, you can ensure that Ecodan is working hard to minimise your energy bills. Ecodan is endorsed with the Noise Abatement Society's Quiet Mark. UK-manufactured and approved for the Microgeneration Certification Scheme (MCS) making it eligable for the Renewable Heat Incentive. 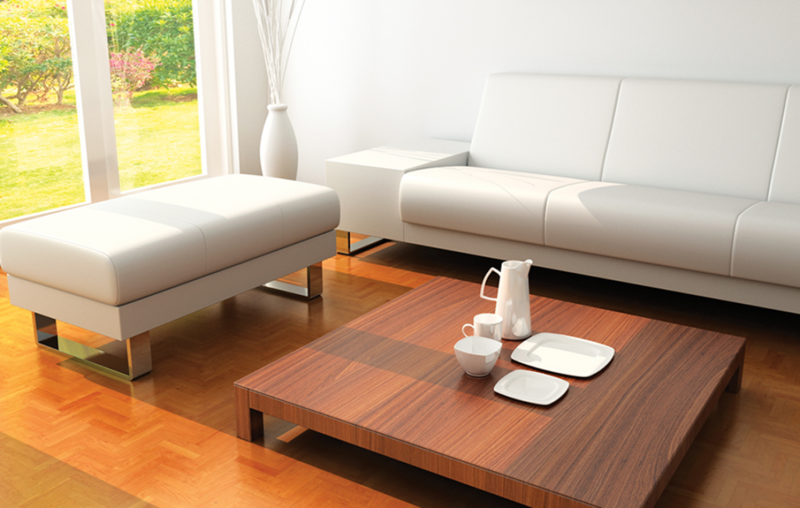 Ecodan provides reliable and efficient space heating and hot water all year round. Renewable heat incentive will pay money to homeowners, housing associations and self-builders over 7 years. Creating finacial savings for the owner of the system. 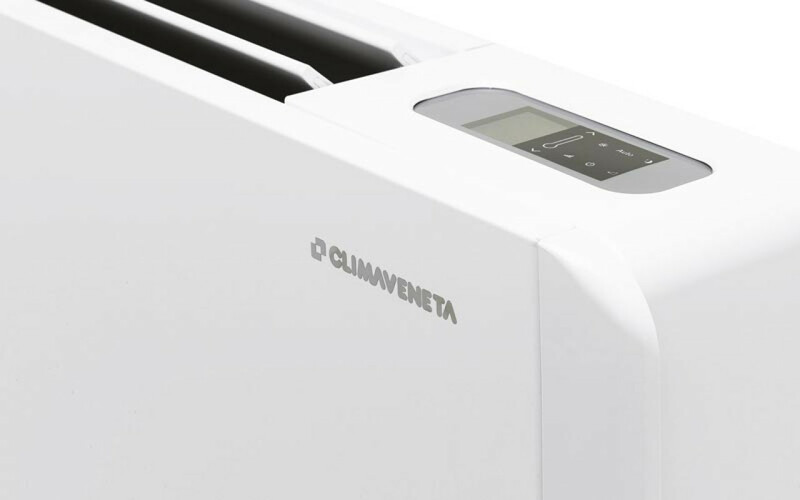 The innovative, stylish and compact single fan outdoor unit utilises advance technologies to deliver improved efficiencies. Designed to satisfy domestic premises permitted development standards (MCS020), the market leading low noise levels virtually eliminate the need for planning permission and maximises installation options. 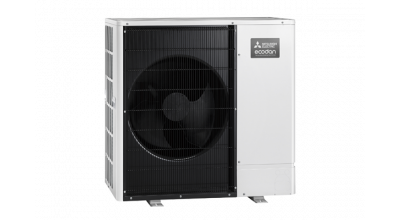 The Ecodan monobloc air source heat pump range includes 5 and 14kW sizes. Now with the ability to cascade up to six units of the same output, Ecodan monobloc systems offer a capacity range from 5 through to 84kW. 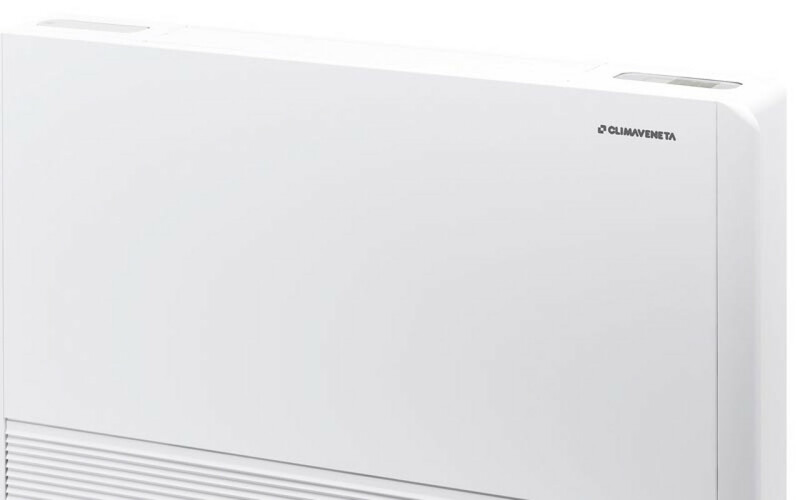 The Ecodan QUHZ is our latest air to water heat pump system and is the ideal solution for new build where strict building regulations drive down the space heating demand, making the production of hot water the dominant load. In order to improve the indoor air quality of a home, we recommend a Lossnay Mechanical Ventilation with Heat Recovery (MVHR) system. 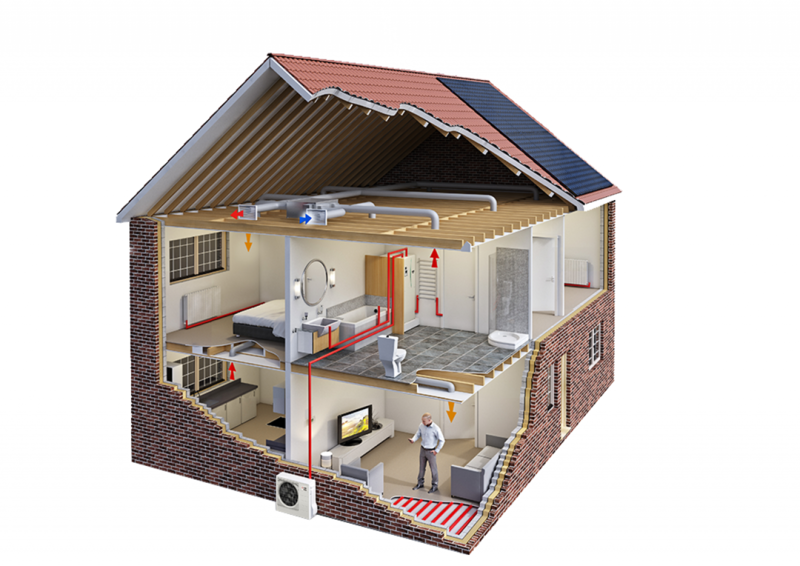 These systems can be fitted into loft spaces and connected via ductwork to the required rooms, or wall mounted in single rooms. They are energy efficient solutions for the whole house and provide a clean, fresh air supply. 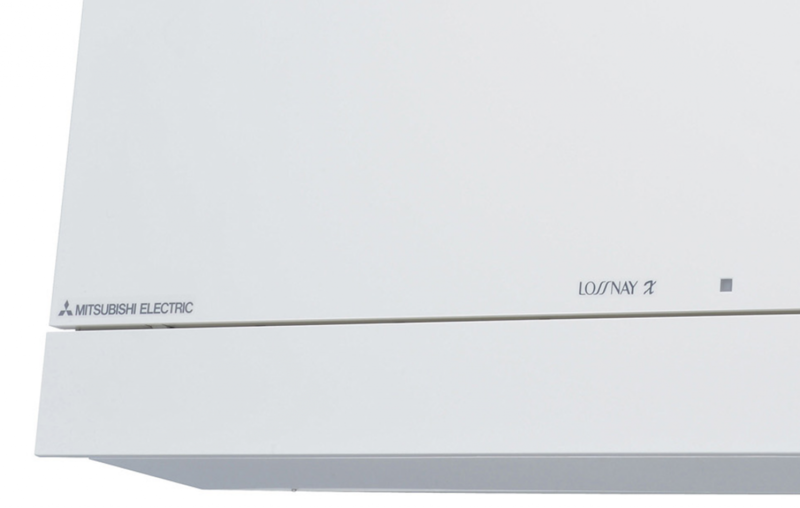 The technology behind the Lossnay water resistant paper core, unique to Mitsubishi Electric ventilation systems, lies in its construction which enables exchange of sensible heat (temperature) and, in most cases, latent heat (humidity) to maintain a comfortable internal environment with minimal energy consumption. A Lossnay Mechanical Ventilation with Heat Recovery (MVHR) system simultaneously extracts stale air whilst recovering heat energy to maximise efficiency and minimise energy use. This means that although the stale air is replaced with fresh air, the indoor temperature of the home is maintained. 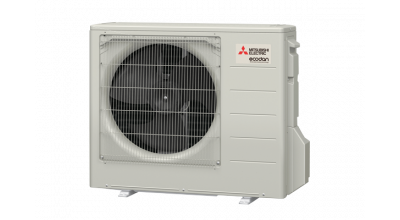 Mitsubishi Electric also has a radiator product which is suitable for connection to a variety of different heating systems including an Ecodan air source heat pump. Connecting it to an Ecodan heating system helps to maximise the efficiency, even helping you receive higher Renewable Heat Incentive payments. 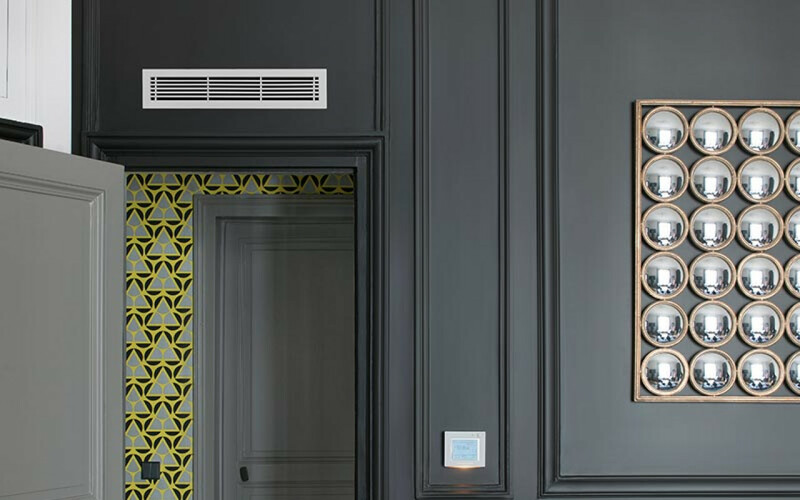 In many cases the iLife2 Slim can replace existing radiators with a simple connection to pipework. This can allow radiators to be replaced individually or together. 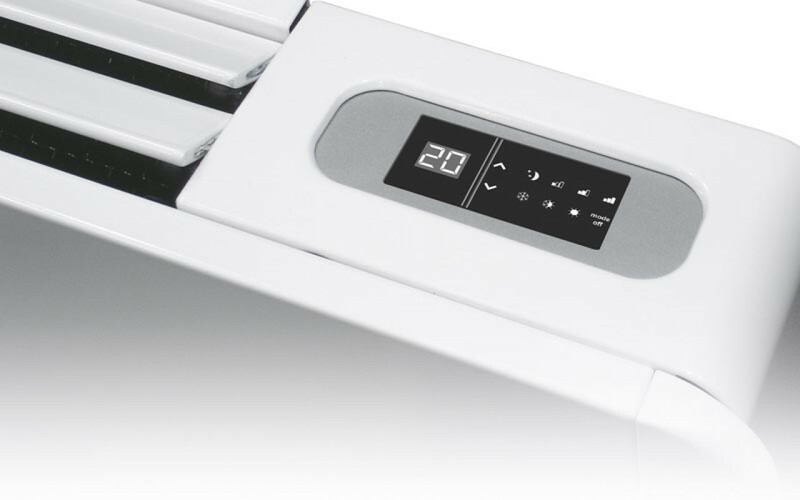 It is also easy to use and with a few clicks on the digital display you can achieve your desired level of comfort in a few seconds, without wasting precious energy.